Stunning does not begin to describe the scenery, from jagged Mt. Morrison looming above the cobalt blue lake to the intriguing, rust-colored band of metamorphic rock at the base of Laurel Mountain. The fishing is also epic—stop into the Convict Lake store to view photos of trophy trout pulled from the lake’s waters and see mounted fish adorning the walls of the Convict Lake Resort bar and restaurant. The campground is also fantastic, especially for those who like to boat and fish. It’s just a hop, skip and a jump from the marina, where small motorboats and larger pontoon-style crafts can be rented by the hour or by the day. The flora in Convict canyon range from mountain mahogany and bitter brush to towering red fir, aspen, cottonwoods, and even a species of cactus that can be found in sandy microclimates. Ospreys and bald eagles patrol the lake for the same fish the humans are after, and mule deer and alpine chipmunks populate the hills surrounding the basin. Convict Lake is named for its role as the hiding place of a group of convicts who escaped from prison in Carson City, NV in 1871. Visitors can learn about the dramatic shootout that took place in the canyon at one of the informational placards on the lake’s eastern shore, near the marina. Mt. Morrison, the most imposing peak in the area, is named after posse member Robert Morrison, a banker from the town of Benton who was killed in the scuffle. The lake sits at an elevation of about 7,800 feet, and is in high demand for fishermen both local and visiting. 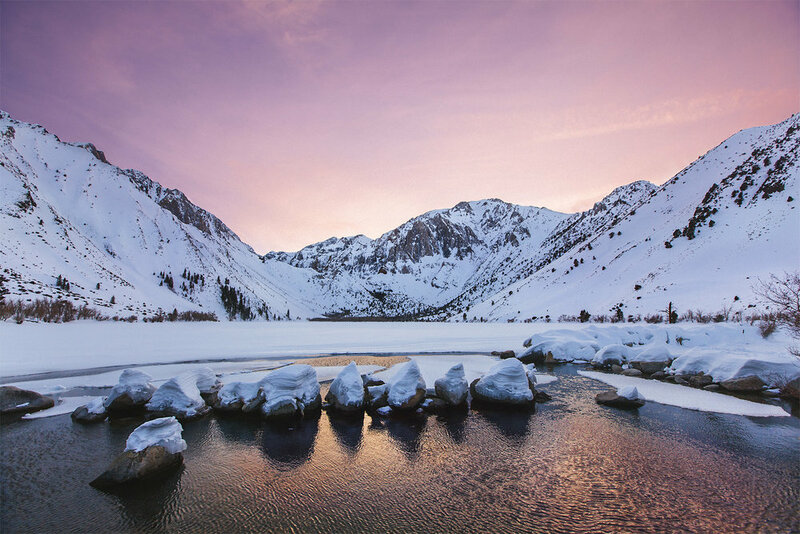 Convict Lake is stocked once a week in the summer with prized rainbow and German brown trout supplied by local hatcheries. For more information, visit www.convictlake.com.